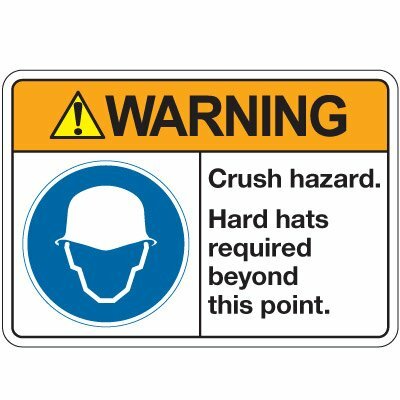 Head Protection Signs are generally seen around construction sites, in warehouse and manufacturing facilities or in any area in which falling objects may exist. They are used to alert, caution or warn of the need for head protection. An injury to the head or face is not just serious, it can be fatal. The proper head protection can make the difference between an injury and a tragedy. Make sure that all workers wear the proper head wear when even the slightest danger of injury is present. And, remind workers to don their helmets and hard hats with Head Protection Signs, available from Seton.